We know Pike Road Schools are awesome, but that doesn’t mean you can’t miss summer at The Waters! Do you have a case of the ‘back to school blues’? No worries! We have the perfect fix! 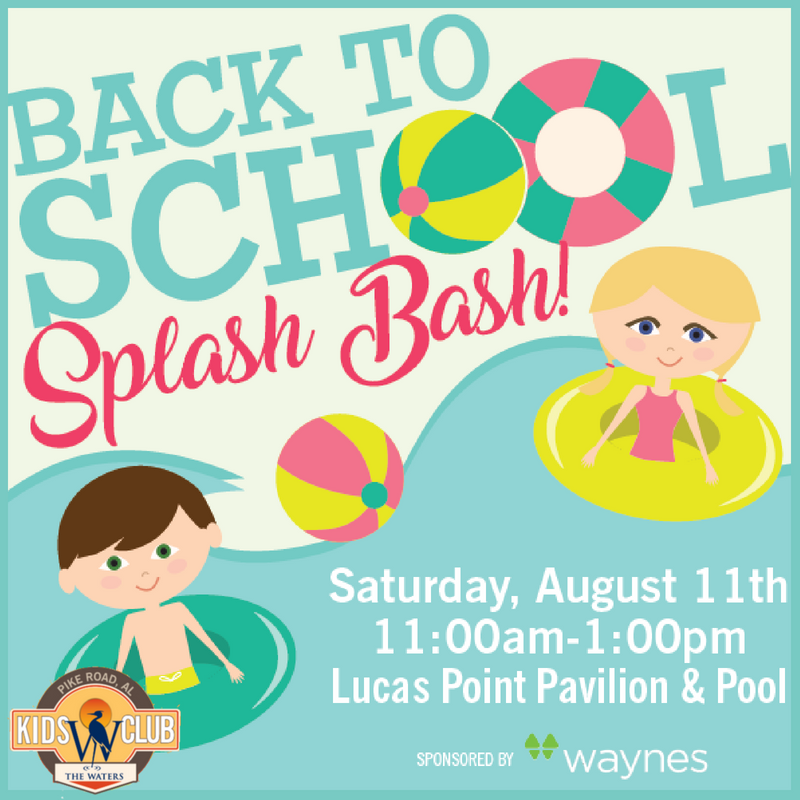 Join us Saturday, August 11th for our Back to School Splash Bash at the Lucas Point Pool & Pavilion from 11am – 1pm.